Batcave Toy Room - Better Living Through Toy Collecting: Lets Take Another Look At Star Wars: The Force Awakens Trailer Again Shall We? Lets Take Another Look At Star Wars: The Force Awakens Trailer Again Shall We? After countless fake trailers being posted as of late, we finally get a peek at the real deal! 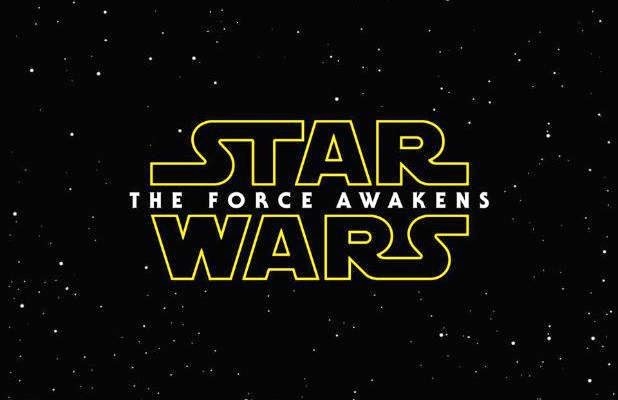 Yes, the Star Wars: The Force Awakens trailer has finally made its way to our galaxy via itunes. We initially announced the trailer would premiere on Black Friday at Nine, No, Wait! Thirty theaters across the United States, but fortunately for most of us we longer have to drive 300 miles or more to catch a glimpse. Now we are able to do it from the comfort of our laptops or smart phones or the Batcave Toy Room for that matter. The first Star Wars trailer in almost a decade gives us 88 seconds of material to analyze until the first official full trailer is released, which I speculate will possibly be as soon as next month or they may hold off until next years Star Wars Celebration. Directed by J.J. Abrams, "The Force Awakens" stars returning alumni Harrison Ford, Marke Hamill, Carrie Fisher, Anthony Daniels, Peter Mayhew, Kenny Baker and Warwick Davis, and newcomers John Boyega, Daisy Ridley, Adam Driver, Oscar Isaac, Andy Serkis, Domhnall Gleeson, Max von Sydow, Lupita Nyong'o and Gwendoline Christine. The film is scheduled to open December 18, 2015. Are we going to get to know Stormtroopers on a more intimate level? Or is John Boyega disguised a la Luke and Han? Why does everyone seem to be in a hurry to get somewhere? Is Han piloting the Falcon? Are Imperial Forces still part of a tyranny (TIE Fighters firing at the Falcon)? What's on your mind after seeing the trailer? My opinion about it is not popular. I wanted to be blown away. I wanted to be thrilled....The first second goes by and a black guy in a stormtrooper costume appears. Yeah, because when I think of SW I think of black guys. That through me so much that I could not enjoy the rest of it. SO tired of this multiculturism shoved down my throat. Like I said..my opinion isn't popular. But after seeing all of the crap in Ferguson I am jaded. Nobody is shoving multiculturalism down your throat. There have been black characters in Star Wars since the original trilogy. Remember Lando? A galaxy full of just white people would be boring place indeed. 3. I'm betting Luke is piloting the Falcon in that scene. He's always been a great pilot, and with the Force behind him, I bet he could get that hunk of junk to perform some fancy maneuvers. I'm thinking that not all Stormtroopers are clones at this point. I seem to remember reading that the Empire had recruited large numbers of their soldiers by the original trilogy, so maybe the ability to clone an army was lost to them at some point. Still, that doesn't rule out the character wearing it as a disguise. That lightsaber is rather interesting. I'm loving the hilt on it. I'm looking forward to seeing it in use.